Save the date! A week after the big London demonstration there will be a march and protest in Ipswich on Saturday 2nd April starting at Endeavour House at 11am. There will be more information about the route of the march, transport etc available soon. 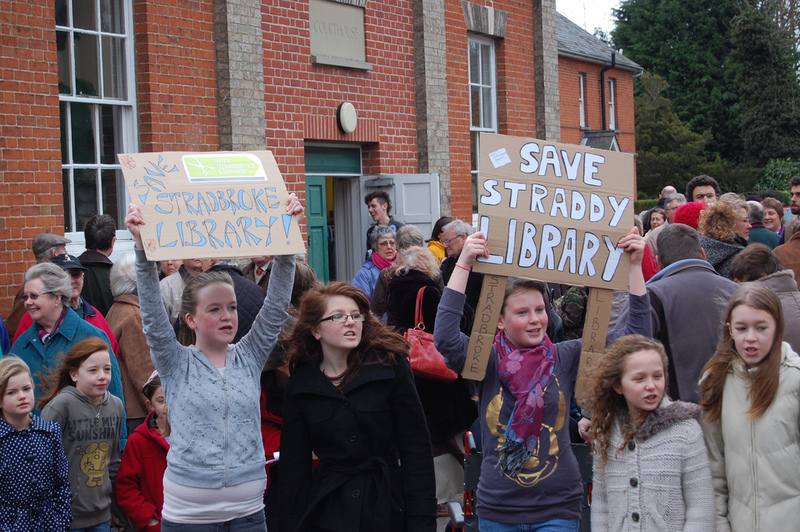 This is an event for ALL Suffolk library users, as ALL Suffolk libraries are at risk of closure or divestment. Don’t forget that Suffolk County Council have admitted that after the divestment process they won’t directly employ ANY library staff. Several campaigns across Suffolk are supporting the march and we hope to be organising some transport from Stradbroke as part of our campaign.